Obviously, that’s classic view on the left and modern view on the right. 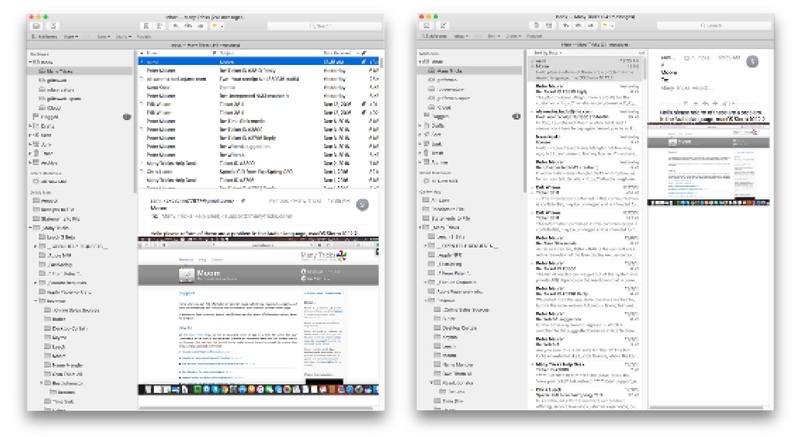 With the classic view, I can read each email as soon as I select it in the list; with modern, I have to double-click a message to open in a new window, which is a waste of time and screen space. Modern only gets truly usable if I’m willing to make the window roughly 1,500 pixels in width. So which layout do you use? Vote in the Twitter poll for the next day (well, 23 hours and counting).